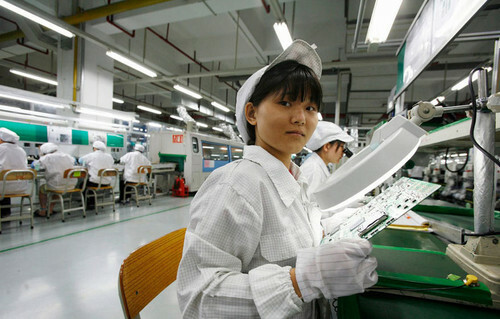 Apple Providing Subsidies For Foxconn Workers? Ok, Apple might be showing their social responsibility for now. A tech site in China has reported, Apple will provide financial subsidies to Foxconn’s employees, the amount will roughly be 1 to 2% of the profits from Apple products. Apple has conducted investigation on Foxconn, and they believe the main reason for the suicide jumps is related to the employees’ low wages. In order to solve the problem, Apple decides to offer a direct financial subsidies for the workers in Foxconn, it will first start from the iPad production line. It was reported that Apple paid Foxconn about 2.3% of the total price of iPad, after the subsidies, it will expected to reach 3%, which is equivalent to the producing cost of the iPad aluminum shell-case. For further details, we think we have to wait for some official statement from Apple and more reports from major media.